Monaco Harbour Port Hercule – Superyachts News, Luxury Yachts, Charter & Yachts for Sale. 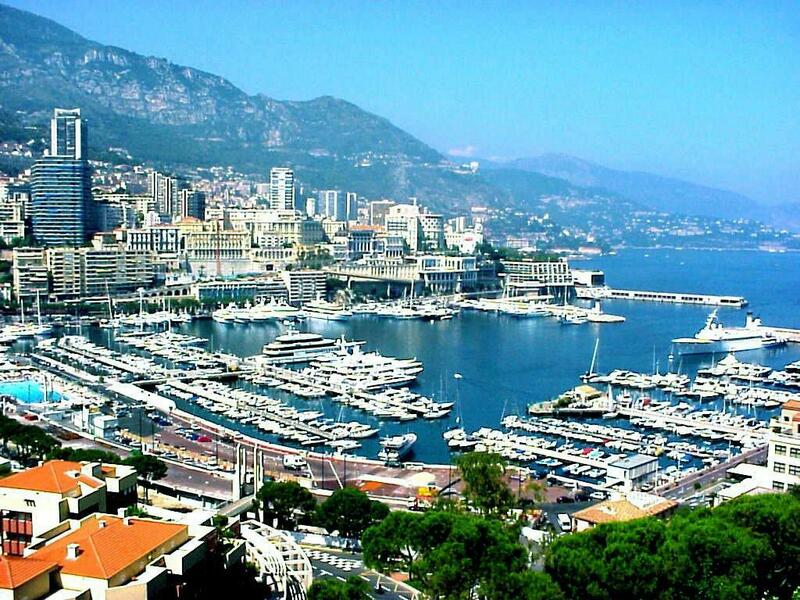 The main Monaco Harbour for yacht, ships and superyachts is Port Hercule Harbour. The Harbour and Marina facilities have been famous over the years and have undergone expansion and revitalization in 2008. In the yacht marina there are berths for superyachts and mega yachts which are visiting from around the world and in the shipping section there are often very large cruise ships moored, especially in the summer months of high season. Interesting events held in and around the Monaco marina area include the Monaco Grand Prix to the Monaco Yacht Show. The Monaco Harbour Port Hercule Marina covers over 16 hectares and there is anchorage for up to 550 sailing and motor yachts, including some of large tonnage megayachts. The great natural depth of the marina water which is 7 meters along the quays and 9 meters along the pier in front of the swimming pool, allows the visiting and berthing of superyachts up to 135 meters in length. The port of Monaco is located in the heart of the district of the Condamine and its nearby shopping and leisure facilities. When approaching the port of Hercule from the sea, by yacht, you need to radio the relevant authorities on VHF Channel 12. As usual give the name of your ship, her length and beam and the required duration of your stay. There is a Welcome Quay available which is situated at the base of the green starboard harbour light and this is for superyachts of less than 15 meters length. Pilot launches for the Monaco Harbour Port Hercule will take your yacht to its marina berth and you will be handed your on Admittance Form. Pilots are compulsory for all yachts over 30 meters in length. This is applicable also to those superyachts who have left the Port for more than one week. Due to its configuration and depth Port d’Hercule doesnt have fixed moorings and it is necessary to caste at least one anchor out to secure the bow of your vessel and moor Mediterranean syle in the Marina berth. When entering Monaco Hatbour by night (ie when the pilot station is closed) bring the yacht along side the Welcome Quay – provided the weather is ok and your vessel is less than 15 meters in length. If there are some vacant marina mooring berths please berth preferably at the Chicane Quay or at the Quaides Etatss and a berth suitable for your yacht will be assigned the next morning. It is not possible to reserve a berth in advance, however if you have a large megayacht and wish to berth in Port d’Hercule please contact 24 hours in advance the Pilot Station on VHF Channel 12. Within 24 hours of berthing the ship’s captain or owner must report to the direction des Ports producing the Admittance Form, duly completed together with ship’s papers and pay the necessary harbour fees. A receipt will be given and this should be retained as it is liable to be produced on demand. The Direction des Ports is closed on Saturdays, Sundays and public holidays. You are requested to report to the Pilot Station on those days. - Administration: reception, account, telephone, secretariat. - Maintenance of the harbour and control of marine pollution. 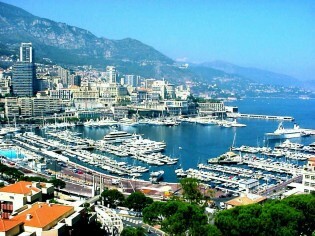 Monaco hosts several famous events each year and many gusste to the events stay on a yacht in Moinaco or Fontvielle. From the Les Ballets de Monte Carlo and the Monaco Grand Prix, Monaco offers an endless array of year round events for both business and pleasure. Prince Albert I had already marked his reign with the realisation of a number of important projects and the Port Hercule at Monaco was one of them: The other projects including the Oceanographic Museum, a hospital, a modern sanitation system etc, when it became apparent that the Principality needed a harbour, able to accommodate the large number of yachts that visited the Côte d’Azur and to help open up the commerce of the area. The construction of Port Hercule Harbour in Monaco was to finish the modernisation of the Principality of Monaco. To properly maximize the space available it was decided to build two quays which still serve as the main walls of the harbour today. The construction work of the marina started back on the 2nd July 1901. The rock and land fill required for the construction of the quays was taken from an area next to the sea, to the east of Cap Ferrat in the Bay of Lilong, five miles to the West of Monaco and the harbour project was completed in 1926.